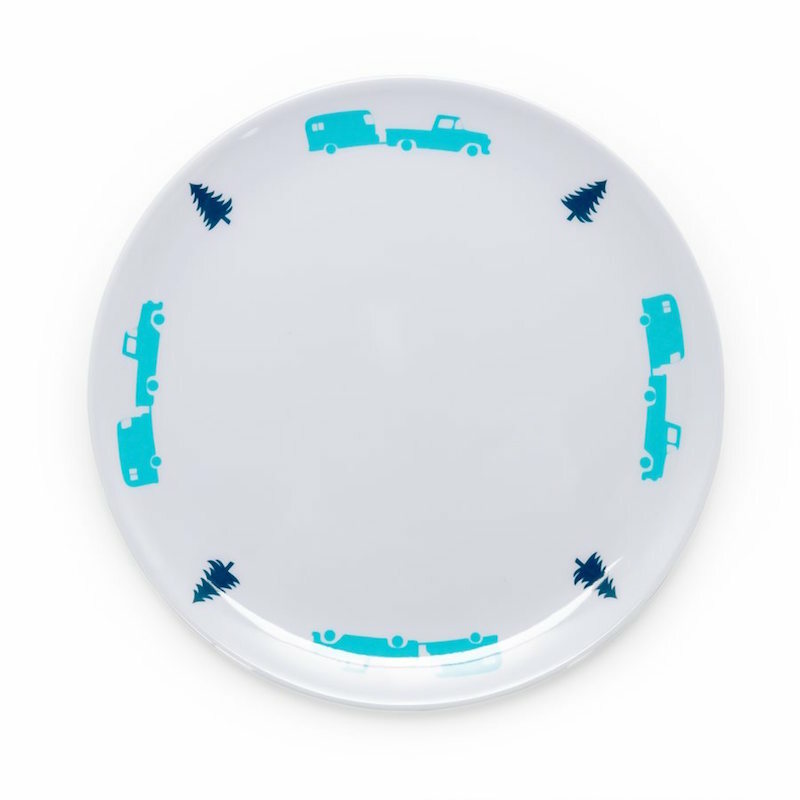 The Life is Better at the Campsite small plate is white with a blue tree and truck design. The durable dinnerware is great for boats, RVs, and camping. The Life is Better at the Campsite small plate is easy to clean and is top rack dishwasher safe, and BPA free. Do not use in the microwave.